Cakes | Cupcake Cottage Cork Ltd.
We now do 2 types of cakes. 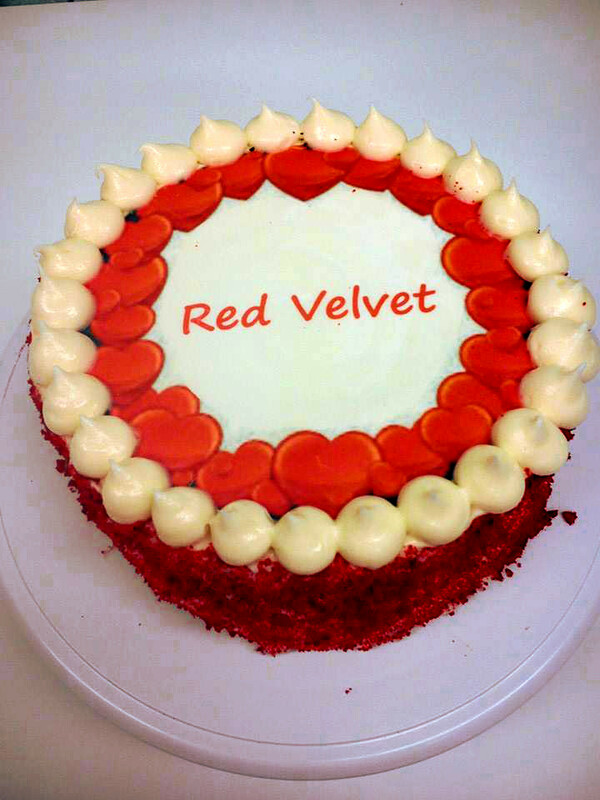 Below is an example of Red Velvet 8 inch with printed cake topper and a Red Velvet mini cake with birthday message. Our delicious 8 inch cakes are only €28 without print or just €35 with print of your choice and the mini three tier cakes with print of choice are only €6.50. Chocolate, Red Velvet, Strawberry, Raspberry, Victoria Sponge, Oreo, Chocolate Oreo,Strawberry Oreo, Chocolate Caramel Oreo, Lemon, Coffee.